An impressive display from the Munster side seen the IT lead throughout the whole game following their victory over DIT the previous Day. Maynooth who were Division 1 finalists, had a tougher encounter the previous day with a very physical battle with IT Carlow which they marginally won by two points. 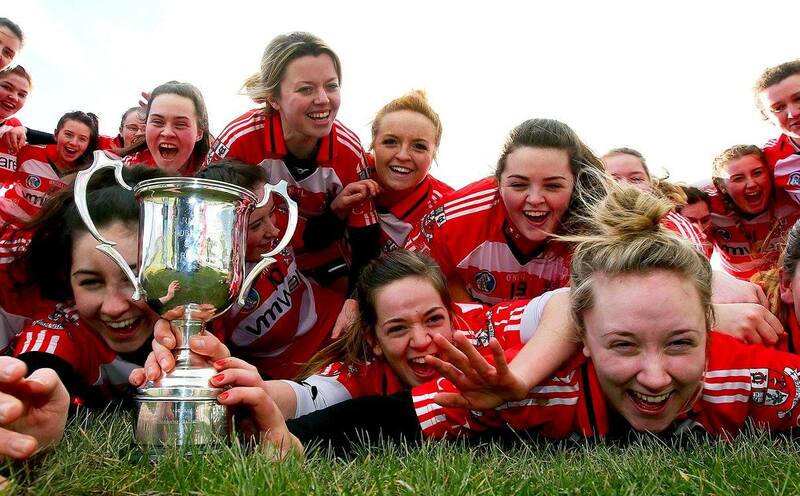 Captain Jacinta Crowley dedicated the win before lifting the cup to their beloved bus driver Seamus McCarthy who passed away earlier this year while driving this team back from a league game in Waterford. This entry was posted in News, Purcell Championship 2015/16 and tagged Camogie, CIT camogie by CCAO PRO. Bookmark the permalink.